Let me just start this post by saying, “I really dislike buying sauce packets.” Sure, they’re convenient and can help make a tasty meal, but they’re also really expensive for what you get. 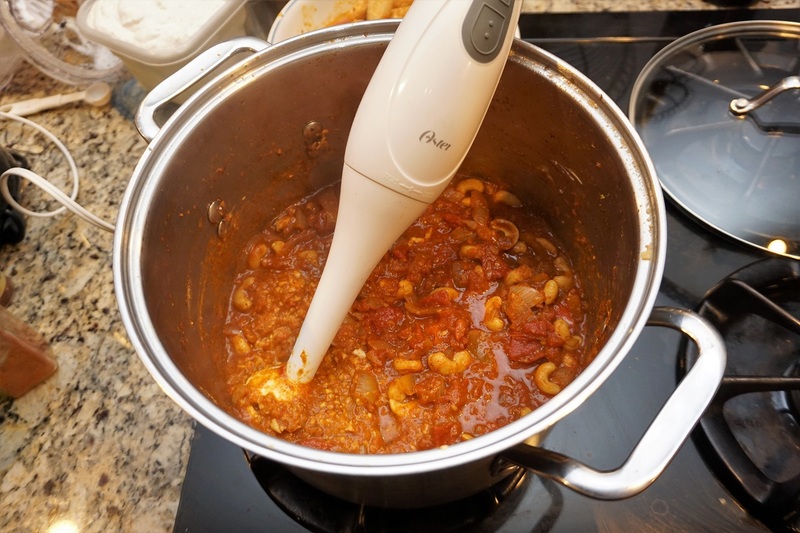 Use of commercially made sauce packages can easily double the cost of a home cooked meal. They’re also loaded with preservatives, food coloring, fillers, and tons of ingredients I would never willingly put into my mouth if I had a choice. Not only that, but many manufacturers take serious shortcuts to avoid using expensive ingredients. They often cover up the lack real flavor with extra sugar, salt, and fat. 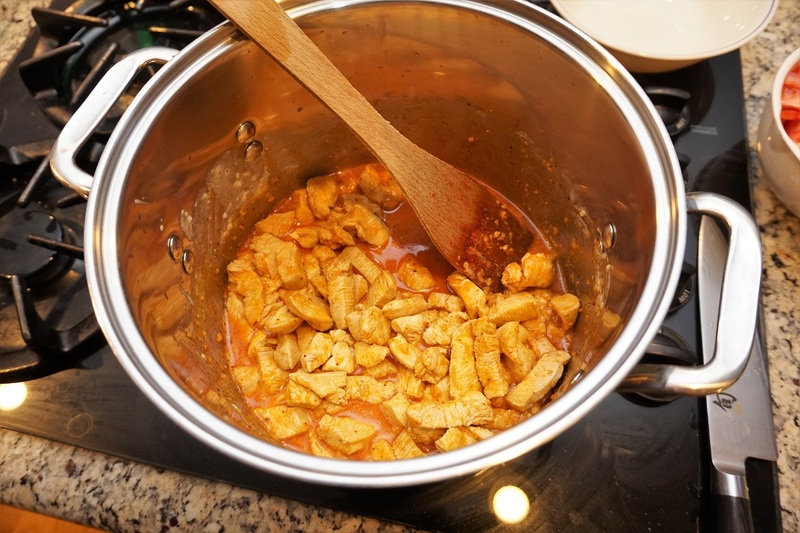 Such is the case with premade butter chicken curry sauces… So, I’ve been on this long quest to learn how to make my own. If you’ve eaten at an Indian restaurant, chances are pretty good you’ve eaten Butter Chicken Curry (also known as Chicken Makhani). It’s a staple of Indian cuisine and well loved by many restaurant goers… but hardly anybody tries to make it from scratch at home. Just Google a recipe to see how it’s made — Usually the recipe requires you to buy a bunch of special ingredients (like kashmiri chili powder) and that typically requires a trip to a specialty grocery store or another(!) Amazon order. Then, you try cooking the recipe… The result? A curry that tastes absolutely nothing like restaurant butter chicken curry. FAIL! Trust me, I’ve tried. I made nearly every recipe on the first two pages of Google search results for “butter chicken curry recipe”. Some were just OK, and others were terrible. They all tasted wrong. I made over a dozen different recipes in my quest to make a proper butter chicken at home from scratch. None of them were great. Sadly, my family had to suffer through all of these sub-par results. What was the problem? The sauce was just never right. Tasted like restaurant butter chicken and was ‘reasonably’ authentic. Is cheaper and healthier than buying an overpriced “spice packet”. Uses common ingredients that don’t need a special trip to the Amazon or Indian grocer. For example, you can get very authentic kashmiri chili powder from Amazon, but it’s a little expensive for just one recipe. I frequently substitute kashmiri for common cayenne pepper or korean red pepper powder. They’re similar enough that I substitute with whatever I have on-hand. Now — let’s get cooking! 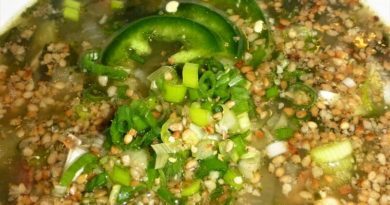 Optional: 1 tsp of dried fenugreek leaves OR chopped chilantro. *Note: Chili powder must be fine ground. This is NOT the kind of chili powder used to make chili con carne. Kashmiri, cayenne, or fine ground korean gochugaru powder will substitute fairly well. **Note: Although I’m linking to Amazon here, it’s usually cheaper to buy these ingredients from the bulk spice section of your local supermarket. First, you’ll need to marinate the chicken. Start by cutting the chicken into bite-sized pieces. Once sliced, mix it well with the finely chopped garlic, chili powder, smoked paprika, and a little salt and pepper. 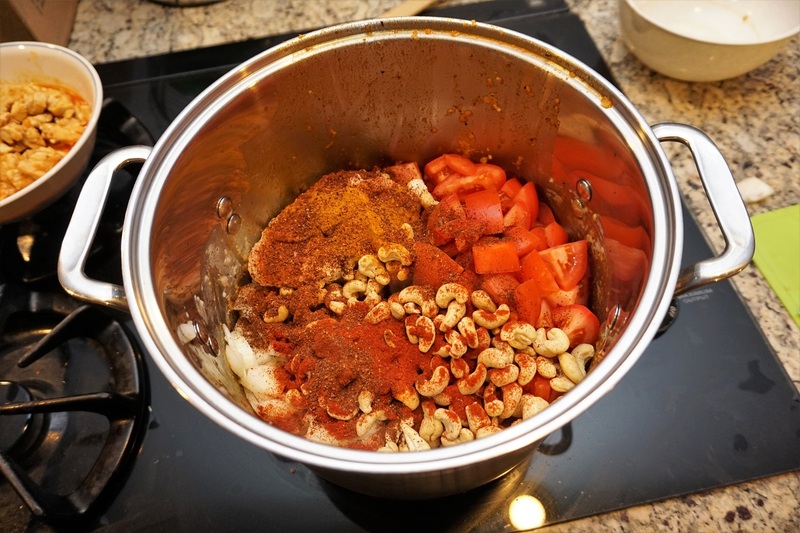 This marinating chicken mixture should then be placed in the refrigerator for at least 1 hour for the spices to properly mingle and flavor the chicken. After that hour is up, begin by frying the chicken in a little butter. This is a one pot dish, so remember to use a pot large enough for all the ingredients. Once the chicken is cooked, remove it from the pot and set aside. We’ll add it back in later. 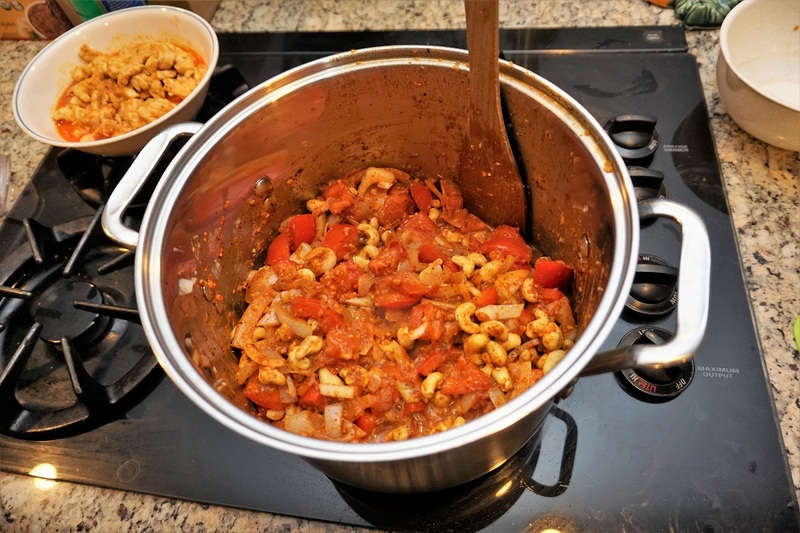 Add the fresh tomatoes and cashews into the pot. (Yes, they must be fresh tomatoes or the recipe will taste too acidic). Next, add the water, all the spices, and any remaining butter. Everything should now be in the pot except for the chicken, the cream, and the fenugreek leaves (optional). 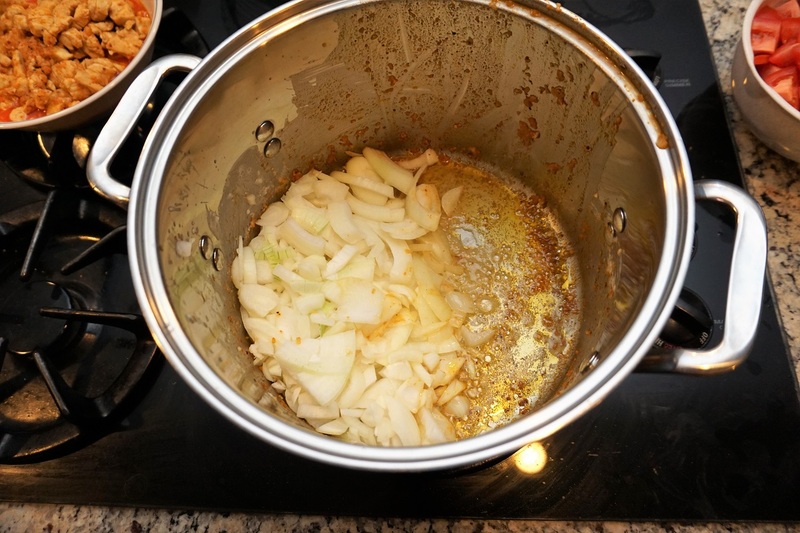 Cover with a lid, and allow the dish to simmer for 30-4o minutes until the tomatoes are completely cooked and soft. Turn off the heat and allow the sauce ingredients to cool for 3-5 minutes. 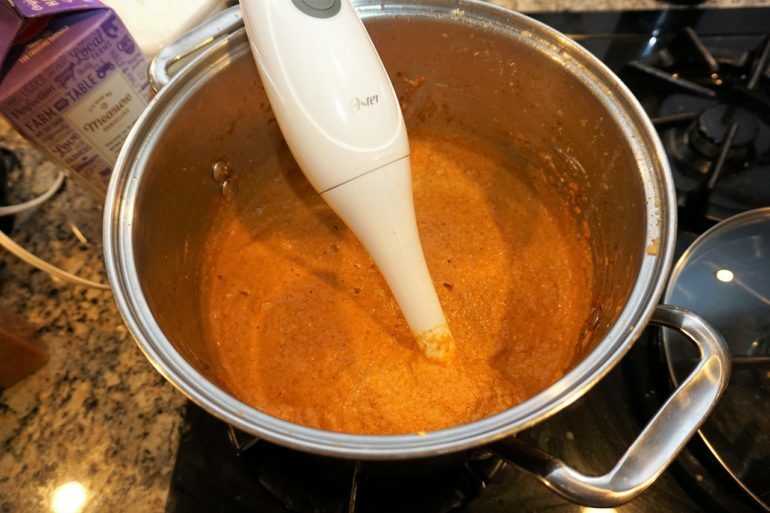 At this point, the sauce should now be cooled enough that you can begin blending with a stick blender. If you don’t have a stick blender, transfer the ingredients to any regular blender that’s available. As you blend, the curry sauce should continue to cool. Once the curry sauce is no longer super hot, add the heavy cream (or half-n-half). Then, keep blending until the cows come home. Really! Blend like mad! The finer you can blend the ingredients, the better. 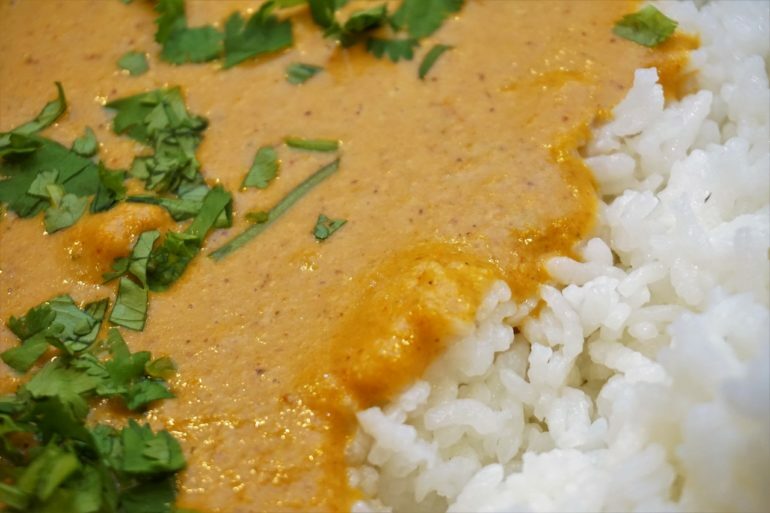 Remember, the sauce needs to be incredibly smooth for a good butter chicken curry sauce. 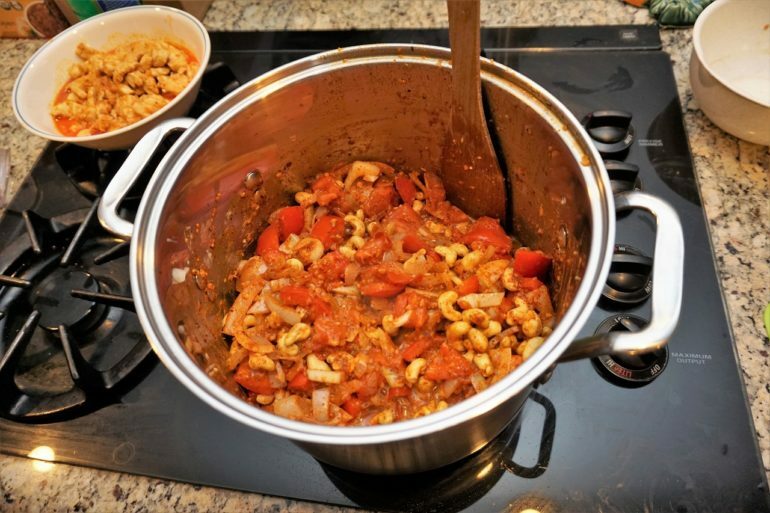 Once you’ve finished blending, pass the sauce through a very fine sieve (like these) to remove any seeds, remaining chunks of cashew, or chunks of tomato skin that might remain. This step will make a super smooth, super rich curry sauce! OK, now it’s time for tasting — Is the curry sauce too thick? Add water or cream. Not salty enough? Add more salt. Doesn’t have enough “punch?” Add more vinegar. Not spicy enough? Add more chili powder and a little smoked paprika. Sauce too strong? Add more heavy cream and a little butter. Not ‘red’ enough for you? Add more smoked paprika to enrich the color. You can customize it completely to your preference! Once you’re happy with the sauce — turn the heat back on to ‘low‘ and re-add the chicken you cooked earlier. Allow the chicken curry to warm back up for 5 to 10 minutes. Keep the temperature on your pot low — you don’t want the cream to curdle. If you have dried fenugreek leaves, now’s the time to add them. I personally have a hard time finding fenugreek leaves, so I often use chopped cilantro as a substitute. 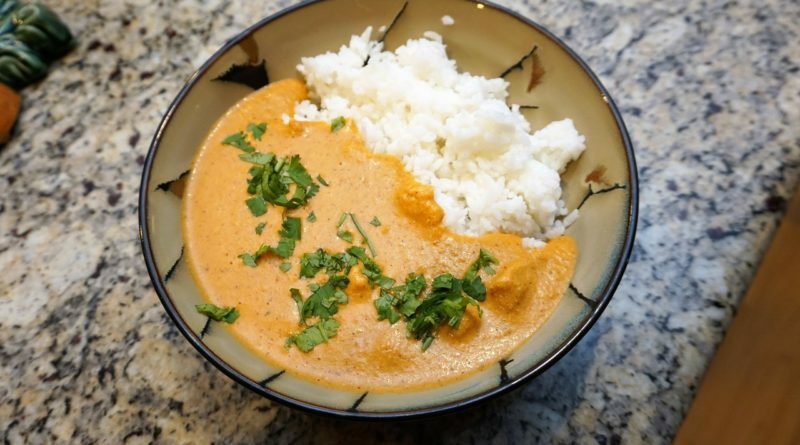 Super creamy butter chicken sauce. I couldn’t find fenugreek leaves, so I used chopped cilantro instead. Mix the curry sauce and chicken thoroughly, and then serve with rice. If you have time, a flatbread also goes very well with this dish. 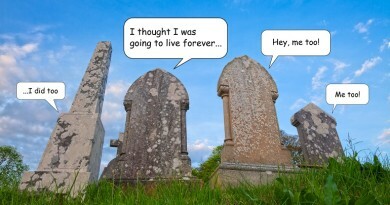 Well, that’s it folks! There’s a million different butter chicken recipes online, and this my version! I hope you enjoy this recipe as much as I do! It’s cheap, it’s easy, and I think the flavor is very good. 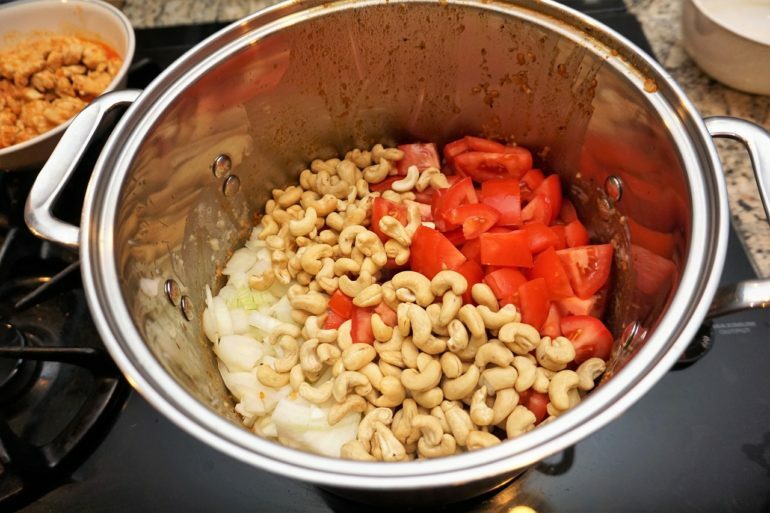 Use cashews in the sauce to get that extra smooth creamy flavor. Fresh tomatoes keep the flavor from getting too acidic. A balance between the dried chili powder and the smoked paprika gives the sauce a flavor that’s a little bit smokey and a little bit spicy. Just like my local restaurants. Well, that might be true — but being wrong never tasted so good (or cost me so little)! Oh my god, this looks awesome 🙂 This goes on to my cooking list for next month! Since I totally love your ‘non-completely-authentic’ Pho, I’m sure Butter Chicken à la Tako will be a great recipe to try as well. Really admire the way you keep trying for the perfect match! I have all these ingredients in the pantry. We’ll have to try this dish out soon. Just substitute garbanzo beans instead of chicken. I do it all the time. Or, you could try making a paneer. That might go well too. This is awesome, Mr. Tako. Thanks for sharing the nuggets of wisdom learned over the years. If you were to make a vegan version of this recipe, how would you go about changing it? Garbanzo beans, or eggplant might go very well in the place of chicken. Perhaps some spinach too. Do you think coconut oil could substitute in place of cream? Oh man I swear I love your cooking post more than any of your other posts. You make your food look so good. Nom Nom Nom. You should totally start a second cheap cooking only blog. I love these but they make me suffer for my diet that much more (55 pounds lost!) I love delicious food and saving money. You are an eight armed hero Tako! I am pretty sure that you can replace the chicken by tofu in cubes and it will be a completed vegetarian super Tako meal ! Sure, why not! Tofu doesn’t have a strong flavor, so it should fit fairly well. This looks amazing! Happy to see some veganized suggestions in the comments too. Definitely going to try this. Thanks for sharing, Mr. Tako! I’ve been looking for a way to do this at home and struggled. So thanks!!! We will definitely try this soon!!! Yes!! It’s like when I FINALLY figured out the sauce right for chicken teriyaki. Some recipes are not as easy as going with whatever shows up on google. Excited to see you posting a recipe! Your food photos always leave me drooling. We made a similar version of this last night with shrimp. I told my husband it felt like it had about $10 worth of spices, but it was worth every penny and super delicious. My favorite place to buy spices is Penzey’s. You might have one in your local area, but if not they are always running specials with free shipping. Their garam masala makes everything taste delicious – I like adding it to vegetable soup to give it a little something extra. This recipe makes quite a bit, so there should be lots of leftovers! We always have plenty! I’ll have to try this. I have everything in the pantry already except the smoked paprika. That’s a new one for me. As far as the tomatoes and fear of too much acidity, I wonder if you could omit or reduce the vinegar? I don’t always have fresh tomatoes on hand but I do always have plenty of cans of tomatoes on hand at all times. We usually make butter chicken curry using the Kitchens of India curry packets. I haven’t found the curry paste in bulk even at various indian stores, so we end up buying the six packs of 3.5 oz each from amazon for about $9-10 when on sale. 3 packets for 3 pounds of chicken = plenty for the five of us for a few meals. And it’s crazy good. As good as the restaurant’s version. And “only” $5 for the seasoning part (just add a little butter plus the diced chicken), plus very quick. I’ve tried canned tomatoes and tomato paste, but the flavor doesn’t come out right. The vinegar is pretty minimal and doesn’t really change the flavor profile a lot. Just gives it a little pop. As far as spice packets go, Kitchens of India Butter chicken is actually one of the better ones. It actually contains cashews and paprika unlike most spice packets. Minimal fillers too. Just made this for the family. Actually I made a quadruple (!!) batch of it with 4 lb of chicken plus a pound of mushrooms. Thoughts: excellent creaminess, richness, and texture. I think the cashews helped a lot in that regard, so good call! I used canned tomatoes against your advice and I think it turned out okay. And nothing fancy – just the store brand petite diced tomatoes. I didn’t adjust the 1 cup of water to account for the juice in the cans and I think that might have led to the flavor profile being too tame for us and not quite restaurant-like. Everyone said they liked the Kitchens of India curry packets better, and it’s pretty reasonably priced at >$2 from Amazon, plus super fast. I feel like I should have added a little more canned tomato (so it’s more tomato-y) and cut the water in half or eliminate altogether depending on how thin it is. The thickness actually came out perfect for us but perhaps slightly thinner than restaurant butter chicken. On the canned tomatoes, I didn’t notice any excessive acidity, and in fact I added about 50% more vinegar to try to get a little more “punch” out of the sauce. I also added about 25-50% more yellow curry powder and garam masala to make the spice component more bold. I also used just 75% of the recommended heavy cream (3 cups for a quadruple batch), and it was plenty creamy and rich. Definitely a good recipe though! Other than Kitchens of India, it’s the best butter chicken I’ve had outside of a restaurant! And a heads up on the smoked paprika – our Walmart had a 2 oz bottle in the Mexican food section for $1.49. Not sure if that’s nationwide or available online though. Wow, a quadruple batch? That must have been loads of curry. Thanks for trying out the recipe! I see you added some spices, and that’s totally fair. We keep ours fairly mild because the kids don’t like it too spicy! It was a ton. We got 2 meals out of it and still had over a gallon left over 🙂 So guess what’s for lunch and dinner and lunch and dinner this week? 😉 A fate I will gladly accept! Butter chicken is a kids favorite in our house. We usually make it (unfortunately we tend to use packets – as you say it’s hard to master from scratch!) as an accompaniment to spicier dishes such as jalfrezi’s which we do make from scratch. Yummmmm delicious food post as usual Mr. T. I don’t actually think I’ve ever had this, but totally guarantee I’d love it. I’ll bookmark for future meal planning. I buy fenugreek in my local Indian store. Sadly I developed a peanut allergy and can’t eat that herb anymore because it’s a member of the peanut family. No biggie. I’ll sub with cilantro because this recipe sounds divine! I am with you on the sauce packets. I buy spices in bulk at Winco, then put together my own seasoning blends in glass jar. For instance I use taco seasoning 4-6 times a month, really nice to have it already assembled plus I don’t like to spend a $1. for one time use packet. I was really glad when I stopped being intimidated by making restaurant items we love. Pho alone for our family would be about $60(we have 2 teens at home, a 9 year old that eats like a teen), I can make it at home for less than $5. Pad Thai is similar price. The price difference alone is worth taking a stab at.